Producing the savory, juicy steaks and pork chops that many people crave requires a lot of animals raised on huge, unsustainable amounts of plant protein. But what would happen if, instead of giving so much of it to animals as feed, we ate the plant protein ourselves? 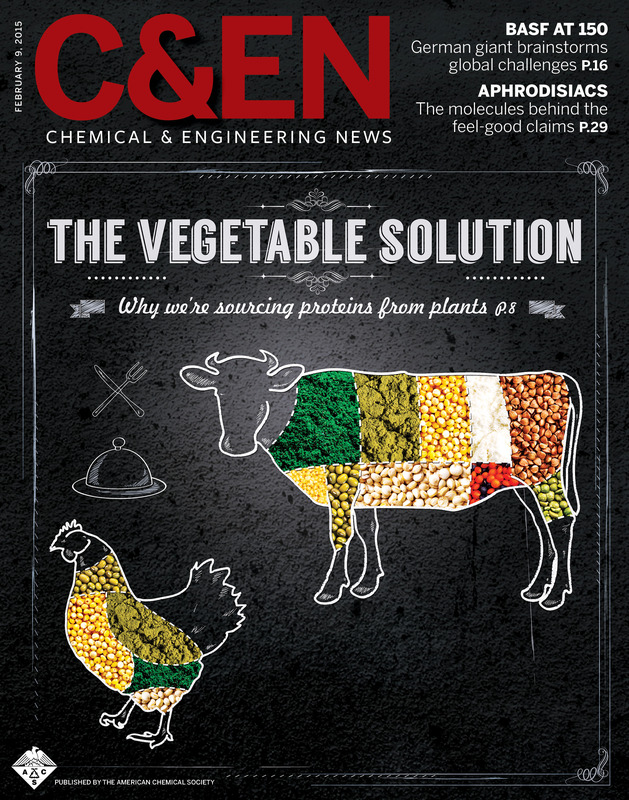 Food scientists are working to make this Earth-friendlier option a palatable reality, according to an article in Chemical & Engineering News (C&EN), the weekly newsmagazine of the American Chemical Society. Melody M. Bomgardner, a senior editor at C&EN, notes that we need protein, which our bodies break down into essential amino acids, to maintain good health. Low-carb diets and research showing the benefits of protein have boosted the trendiness of this macronutrient. As a result, on average Americans consume more protein than they need. And raising livestock, the major source of dietary protein in the U.S., puts a tremendous strain on water resources and arable land. It also contributes to greenhouse gas emissions. The good news is that Americans are increasingly turning to plants for protein out of concern that red meat can lead to heart disease and obesity. Food manufacturers are paying attention. They have quickly responded with a growing range of protein-packed soy, pea and algae products. But to win over more steak lovers, scientists are still working toward the ultimate goal: plant protein that looks, feels and tastes like meat.